Do you want to save money and leave the gas guzzler at home more often or for good? 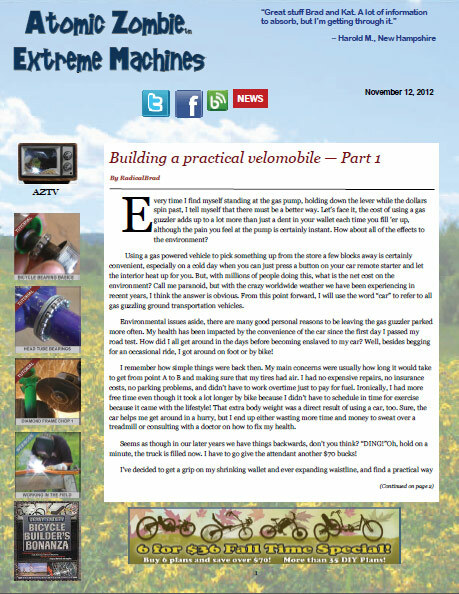 Do you want to learn how to build an eco efficient transportation alternative? Atomic Zombie will show you how! 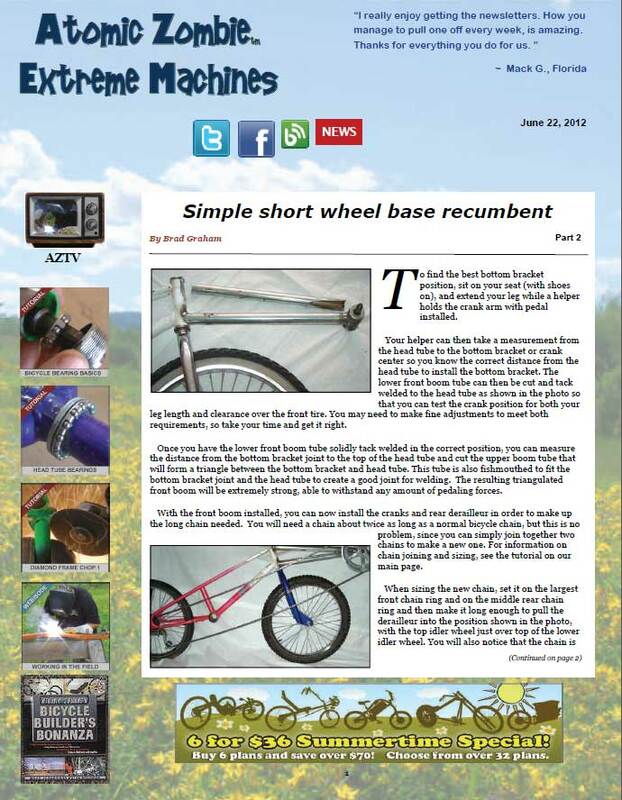 This issue features our newest project, an electric assist velo for a delta trike similar to the Aurora Delta Trike. The build blog will include videos later this month. 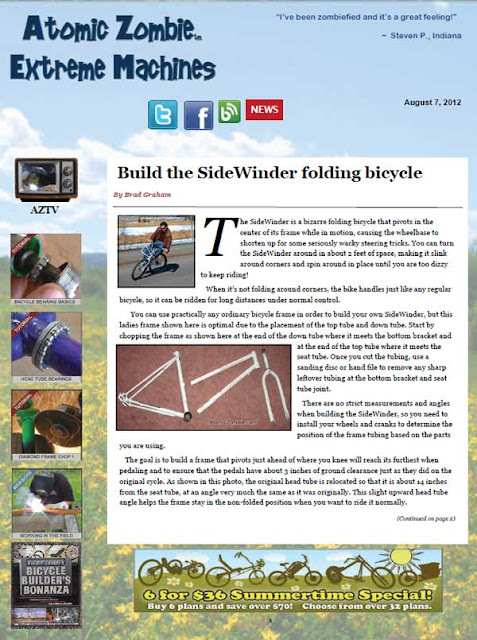 The velo build will be a regular feature in our newsletter and blogs. The brainstorming sessions have begun. Read all about it in this week’s issue. Submit pictures of your own bikes, too. It’s free!